The new AMJ Modul Cat.8.1 RJ45 keystone jack features a robust zinc die-cast housing and 360° shielding enables secure data transmission regardless of external electrical noise. The slim and compact design with keystone panel cutout facilitates installation in diverse applications and housings. 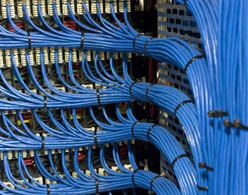 IDC insulation contacts for solid wire AWG24-22/1 provide for secure connection. This can be accomplished in the field without any special tools. A finely graduated strain relief and shield connection enable adaptation to outer cable diameters of six to ten millimetres. 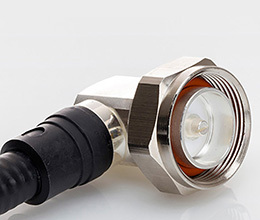 Quick equipotential connection can be achieved using flat connectors 2.8mm with pre-assembled cables. An integrated dust cover is included. The MFP8 Cat. 8.1 cable plug comes with a durable zinc die-cast housing as well as a cable gland suitable for cable diameters of 5.5-10.0 mm. It is compatible with installation cables and patch cables of category Cat. 8.1 / Cat. 8.2 with copper conductor cross sections AWG27/7 – 22/7 or AWG26/1 – 22/1 enabling direct-attach connections in-between electronic devices transferring 10/25 or even 40GBASE-T. Assembly is child´s play and can can be done in the field without any special tools. Patch cords can be custom-made in the same way. With both of Telegärtner’s newly developed connection components, users can realise installations in accordance with ISO/IEC 11801 Class I and prepare the networks for the future applications of 25GBase-T and 40GBase-T. Development of the backbone networks and decentralised data centres is urgently needed since in many cases data rates of 10 Gbit/s of the Ethernet variant 10GBase-T are no longer sufficient. Applications such as in transport infrastructure and for traffic require considerably shorter latencies. Telegartner UK will be exhibiting at The Engineering Design Show 2018 at the Ricoh Arena in Coventry on the 17 – 18th of October. Come and have a chat with Telegartner UK on Stand B60 to learn about all our new products.